The security industry looks to be a changing market in the next few years. Recently, big name industry leaders have procured smaller companies to expand their product offerings or national sales footprint. To name a few, Canon purchased Milestone Systems and then just recently acquired Axis Communications, Vicon purchased IQin Vision, and Anixter purchased Tri-Ed. This consolidation rather than increased competition in the supply market has both positive and negative effects on security companies around the county. 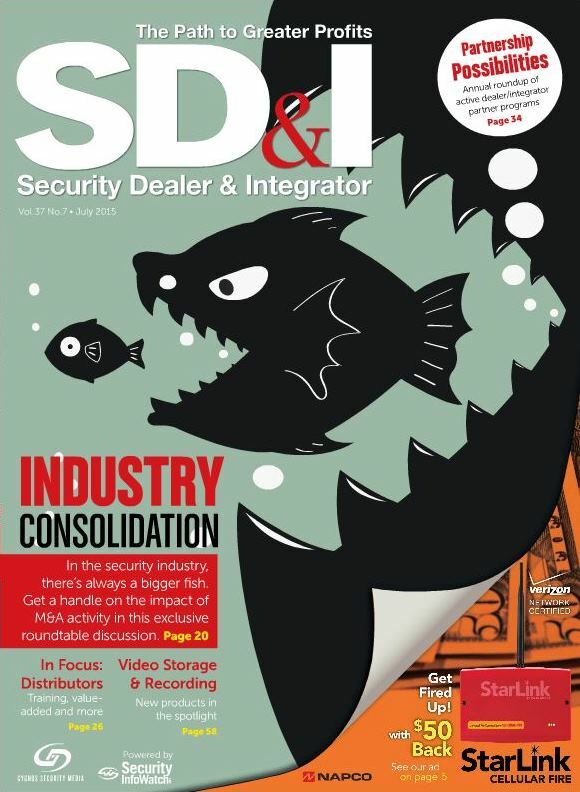 Security Dealer & Integrator magazine’s July edition highlights the major effects and provides input from security industry leaders, including our own President Skip Sampson. To get the full scoop, read the full article HERE. Check out our Indeed page for the latest job openings. KST, an Indianapolis based security and nurse call system integrator, with locations in Indiana, Ohio, Tennessee, and Kentucky offers security products and services for financial, educational, healthcare, and commercial companies. Services include: consulting, risk assessment, system design, engineering, installation, inspection, and maintenance services for access control, video surveillance, intercom, network security, managed access control, emergency / mass notification, nurse call, infant security, and RTLS.